Amid protests against the Pinochet regime, a group of población(shantytown) residents came together in 1984 to challenge poor health care in their community and to denounce military rule. How did their organization respond seven years later when Chile's transition to democracy brought an end to dictatorship but no clear solution to ongoing health problems? Marketing Democracy shows how the exercise of power and the strategies of social movements transformed with the transition from a military to an elected-civilian regime in Chile. 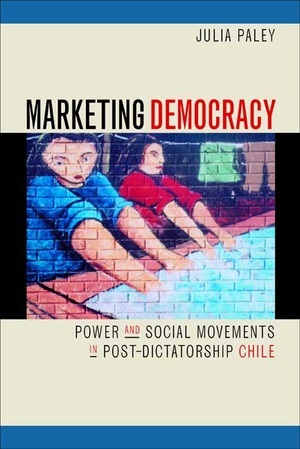 The term "marketing democracy" refers first to how contemporary democracies are shaped by transnational market forces, and second to how politicians have promoted democracy with the twin goals of attracting foreign capital and diminishing social movements. Julia Paley is Assistant Professor of Anthropology at the University of Pennsylvania.